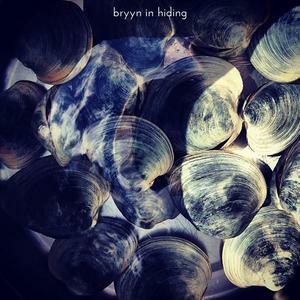 Comment: in recent days Chicago, Illinois, US-based artist Bryn Martin aka Bryyn (also being known as the frontman of Pinkle and the Polygons) issued a couple of albums. In Hiding is a crystal clear folk album which gets inspiration from the best sources of an American music history and tradition. It is not the first album by him. Vice versa, he has been a highly prolific artist during the last decade for cheering us with more and less whimsical electronic tinged folk releases. As I said already it is a crystal clear issue yet it does not mean he does not employ electronic devices and effects for his own sake. All these instruments are up there to have been measured out just as optimally and poignantly as it is needed to conquer one's senses and heart. The listener can breathe in and out in a free manner because all the music seems to come directly from an effortless cloud, from liberated uncivilised terrains, from somewhere we used to subconsciously longing for. It is idyllic, it is rustic, it is picturesque. There can be drawn parallels upon such an artist as Sufjan Stevens yet it is not a serious objection to assume it as being one of the best issues in 2017. The outing is a bit of the immense platform of Jamendo.